Because on my fourth snow day in a row and just a splash of cabin fever, it is never too early for graduation subway art for 2016. Thank you, Portia, for requesting. Here you go. To copy/save: Right click on the graphic below, then choose "copy image" or "save image as." If you have any trouble with that, click here and do the same. My favorite way to use graduation subway art is framed like here. You could also use the subway art DIY-ing fun notecards. Oh, the possibilities! 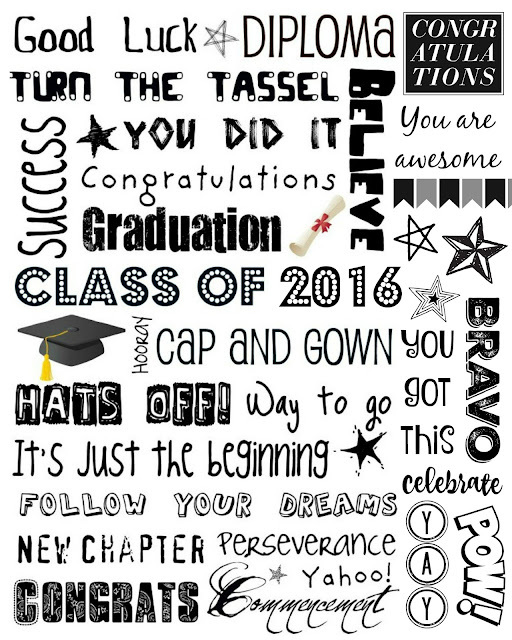 Enjoy and Happy Graduation to your favorite graduates!